The fall semester has wound down, but the well-traveled Bates debate team is still moving right along. In its final fall tournament, at Brandeis, the debaters did what they’ve done all season. In other words, they were “incredibly successful,” said Director of Debate Jan Hovden. The team of Taylor Blackburn ’15 of Atherton, Calif., and Jac Stewart ’14 of Keene, N.H., won the Brandeis Intervarsity Debate Tournament, while the first-year team of Dmitriy Redkin of Pittsburgh, Pa., and Noah Levick of Narberth, Pa., won the novice division. Another first-year team, Zoe Seaman-Grant of Brooklyn, N.Y., and Matthew Kahn of Newington, Conn., conclude the fall as the first- and fifth-ranked novice speakers in the nation, while the duo of Blackburn and Matt Summers ’15 of Short Hills, N.J., are ranked fourth in the U.S.
As a squad, the Brooks Quimby Debate Society is ranked sixth in the nation. In a couple weeks, next phase of the 2013-14 campaign begins on another high note. 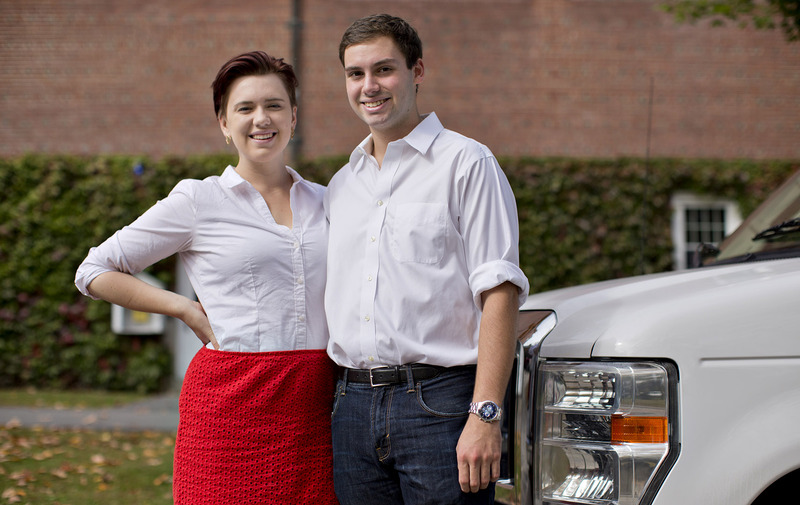 The team of Blackburn and Stewart — fresh off their British parliamentary win at Brandeis — join the team of Summers and Stephanie Wesson ’14 of Mont Vernon, N.H., at the British-style World Universities Debating Championship in Chennai, India., from Dec. 27 to Jan. 4. 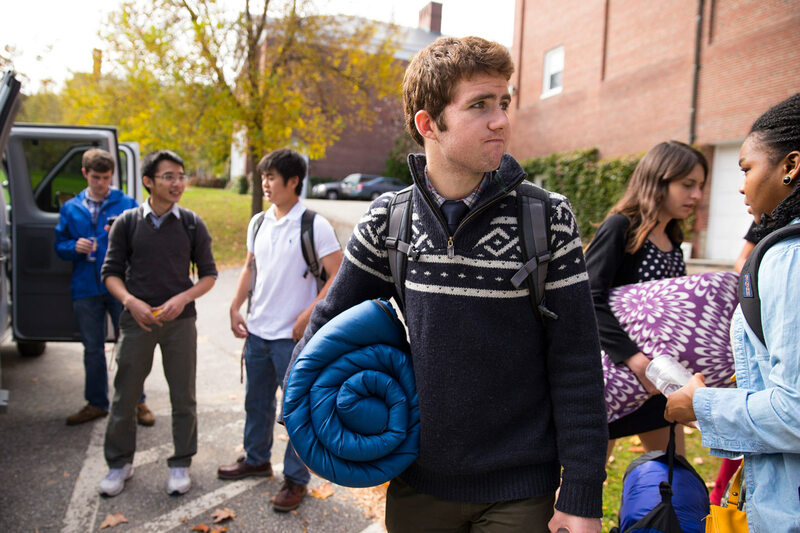 Other late-fall debate highlights included two November trips to England, strong performances at Wesleyan and Brown, and, on campus, a Halloween-week debate. 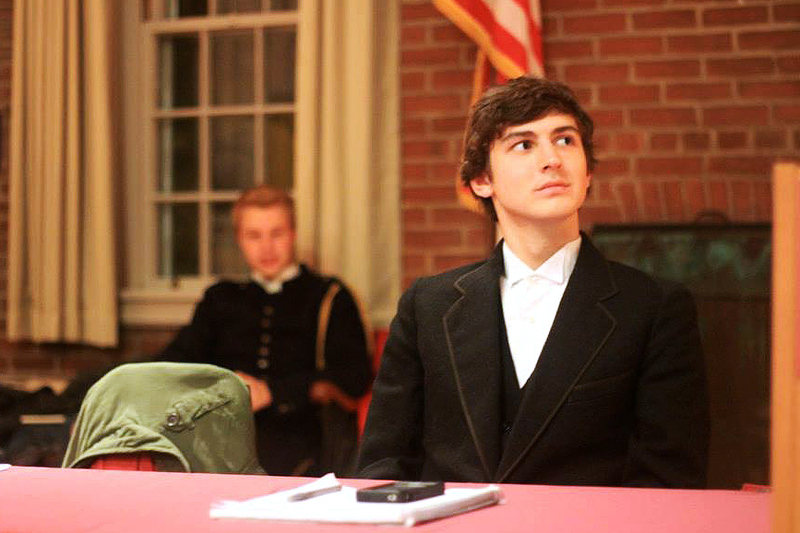 Decked out in period garb procured from the Bates costume shop, debaters played characters from the American Revolution, including Patrick Henry and Thomas Jefferson, and debated American interests, identity and freedom. A week later, at Oxford on the weekend of Nov. 8, the Bates squad got to see former Bates debate standout Colin Etnire ’12, a former White House intern now living in San Francisco and doing graduate work at Loyola Marymount, win the Oxford University Intervarsity tournament. Bates debaters at Oxford were Wesson, Summers, Ben Claeson ’15 of Bangor, Maine; Emily Schwalbe ’14 of Davidson, N.C.; Alex Daugherty ’15 of York, Pa.; and Shannon Griffin ’16 of Philadelphia. A week later, at the Cambridge Inter-Varsity Tournament, Bates was represented by Blackburn, Stewart, Jillian Zook ’15 of Lancaster, Pa. (studying at the London School of Economics this semester) and Sasha Grodsky ’16 of Watertown, Mass. At Cambridge, Blackburn was ranked sixth best among all speakers, a significant honor. Speaker points are awarded for argumentation skills and rhetorical mastery, including the ability to generate new nuanced responses to other people’s points.